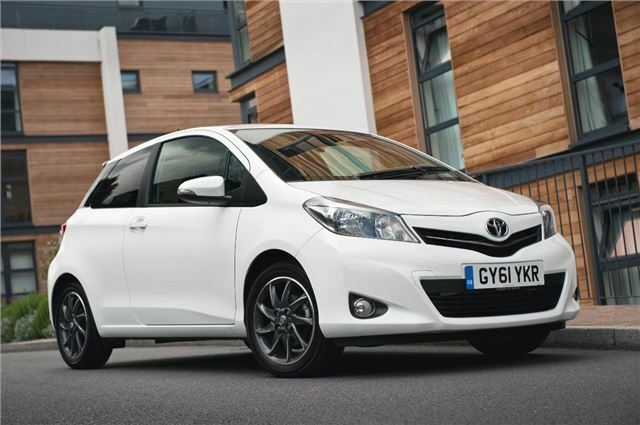 Toyota has added two new style-oriented Yaris variants to the range, called Edition and Trend, priced at £11,695 and £13,795 respectively. The Edition model is fitted with a 1.0-litre VVT-i petrol engine and is based on the entry-level T2 specification, but with the addition of 15-inch smoke-finish alloy wheels, front foglights, rear privacy glass, rev-counter, body-coloured door mirrors and body-coloured door handles. Air-con is offered as an option. The Trend is based on the already well-equipped SR model and comes with a 1.33-litre petrol engine coupled to either a six-speed manual or a Multidrive CVT automatic. Extra features include 16-inch smoked-finish alloy wheels and chrome tailpipe trim. Both models are available in three- and five-door body styles and come with a blacked out rear pillar to give a ‘floating roof’ appearance. Order books are open and prices are listed below.